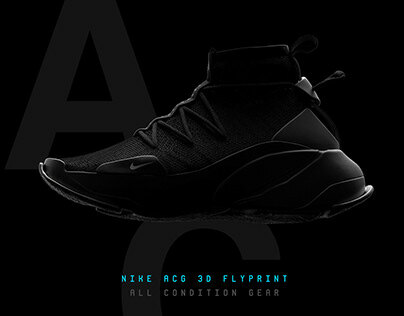 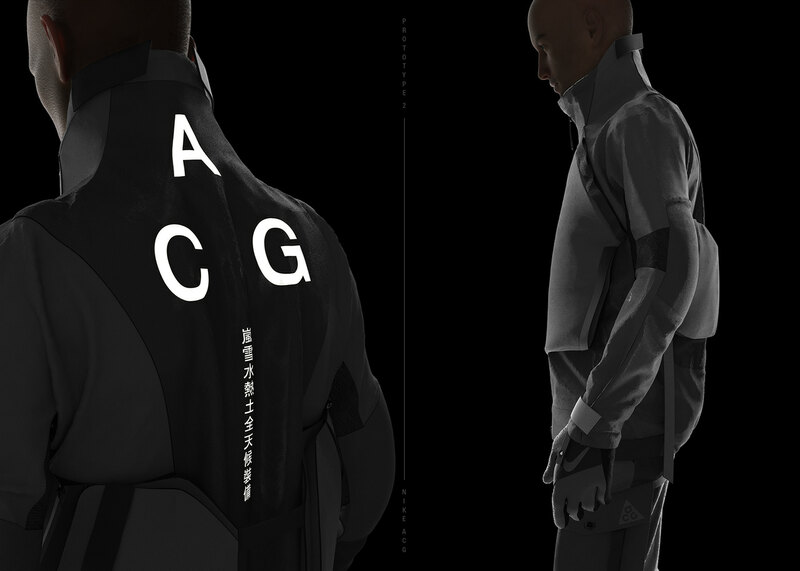 Being a strong believer of performance wear and Nike heritage; I decided to dedicate a second concept project towards their most technically advanced line ACG. 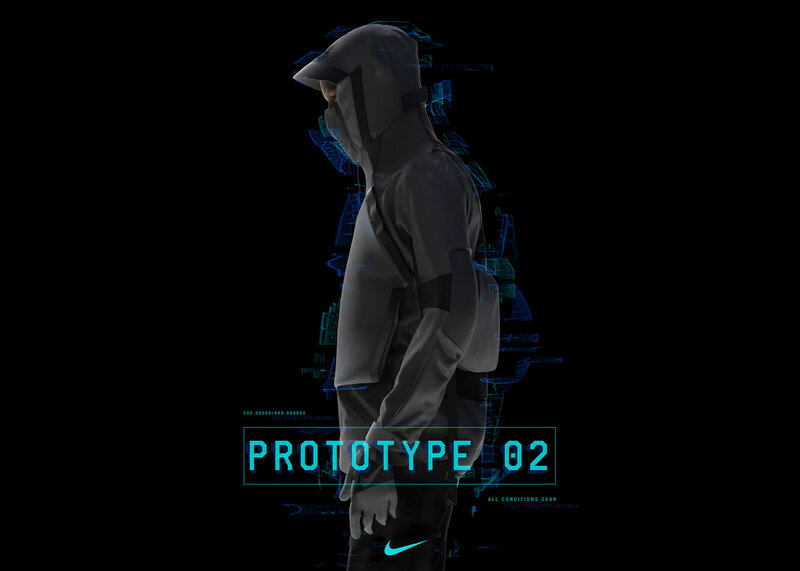 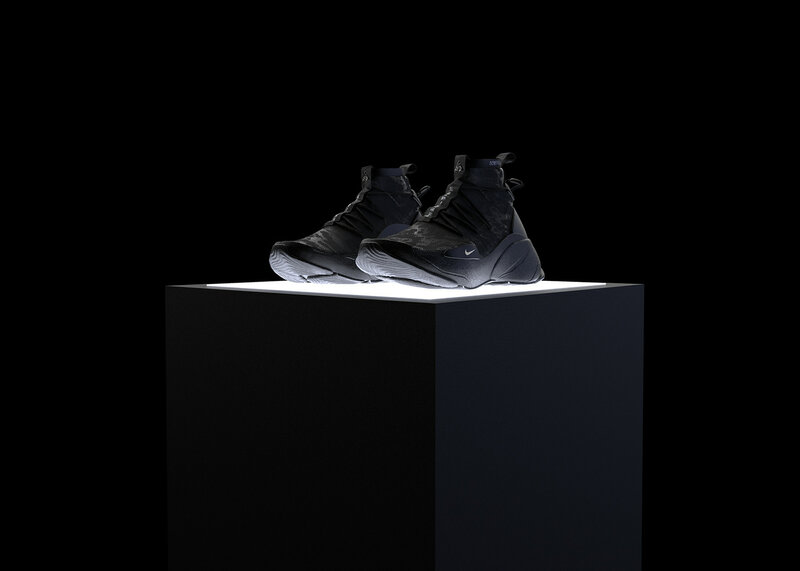 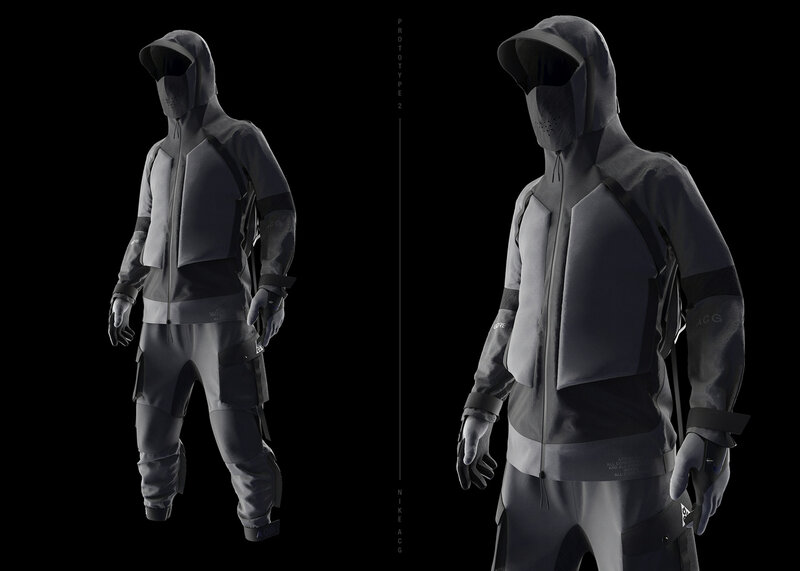 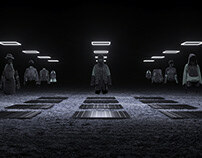 The ‘Prototype 2’ project is a study and experimentation of sportswear functionality through fully digital 3D-design process - a reflection of today’s rapidly changing world.This project seeks a balance between the two contrasting worlds - real life versus virtual simulation of objects and its presence. My intention for this project is to explore a conceptual product that adapts to different life situations. 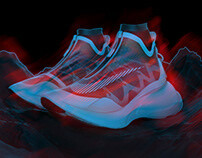 It came through existence by following the ergonomics of the human body movements. 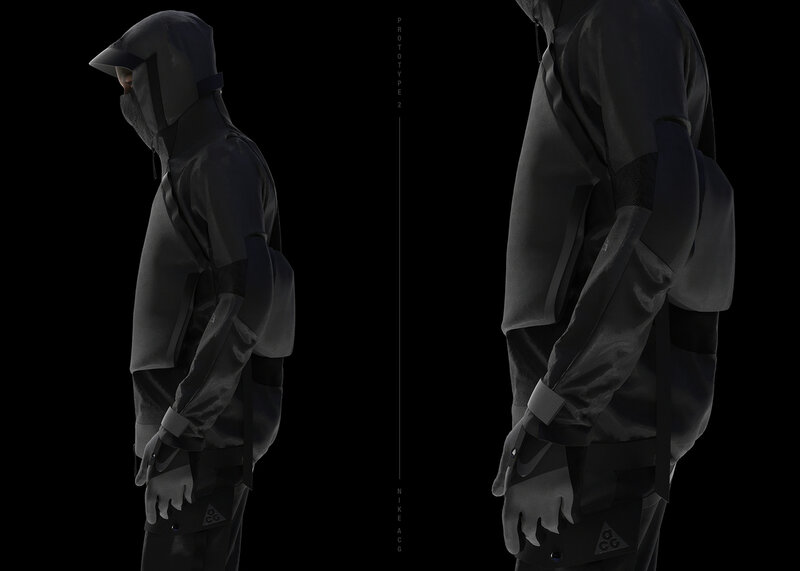 Each garment embodies the spirit of an urban explorer - ready to survive all environments. 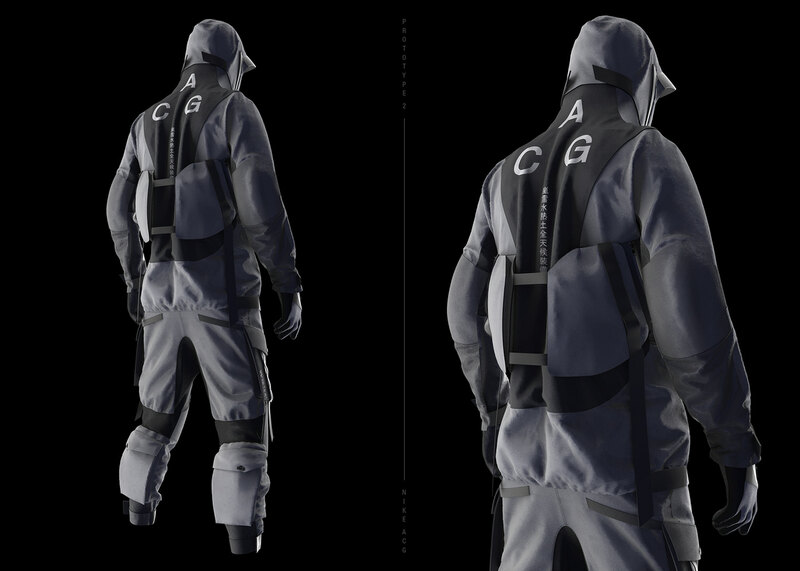 Survivalist in the journey of the unknown. 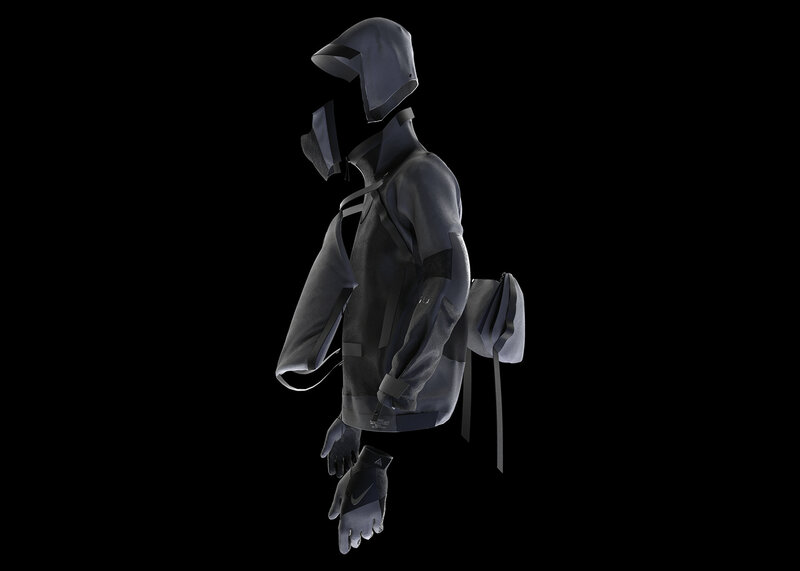 Behind the scenes of 3D-design process.